Please help to spread the message 💗. Rejection is one of the most unavoidable and painful aspects of being human. Whether you were turned down for a date, dumped by someone you thought loved you, or hurt in some way by your long-term partner, the pain of rejection is undeniable. In fact, a 2013 study found that the brain responds similarly to physical pain as it does to social rejection. @BreakingBarrie3 @Antom_dapper @mpbeads_fabrics @bofiasdiaries @oluthomas03 @Olawale2809 @akin_more @magarya @bellajohn005 @Mosopemi @segalink Am pumped😃! 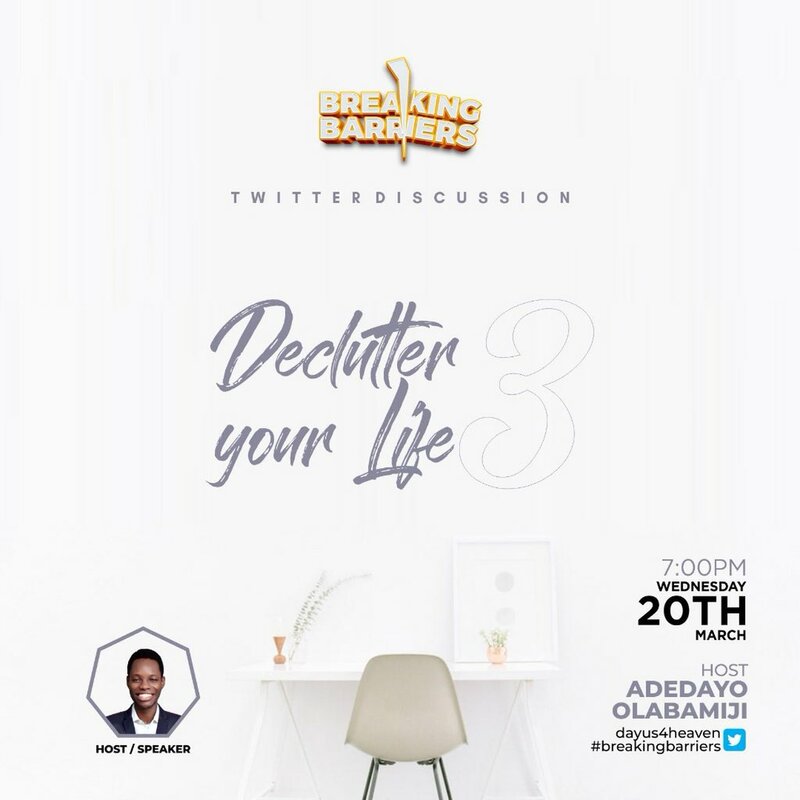 Good evening fam and welcome to tonight session on #BreakingBarriers trust me you need to follow this thread! @BreakingBarrie3 @Antom_dapper @mpbeads_fabrics @bofiasdiaries @oluthomas03 @Olawale2809 @akin_more @magarya @bellajohn005 @Mosopemi @segalink The secret of living a life of excellence is merely a matter of thinking thoughts of excellence. Really, it’s a matter of programming our minds with the kind of information that will set us free. @BreakingBarrie3 @Antom_dapper @mpbeads_fabrics @bofiasdiaries @oluthomas03 @Olawale2809 @akin_more @magarya @bellajohn005 @Mosopemi @segalink Making minor changes in your daily life will make a major difference to the ease with which you fulfill your dreams. Why settle for mediocrity when simple changes can lead to a life of excellence? 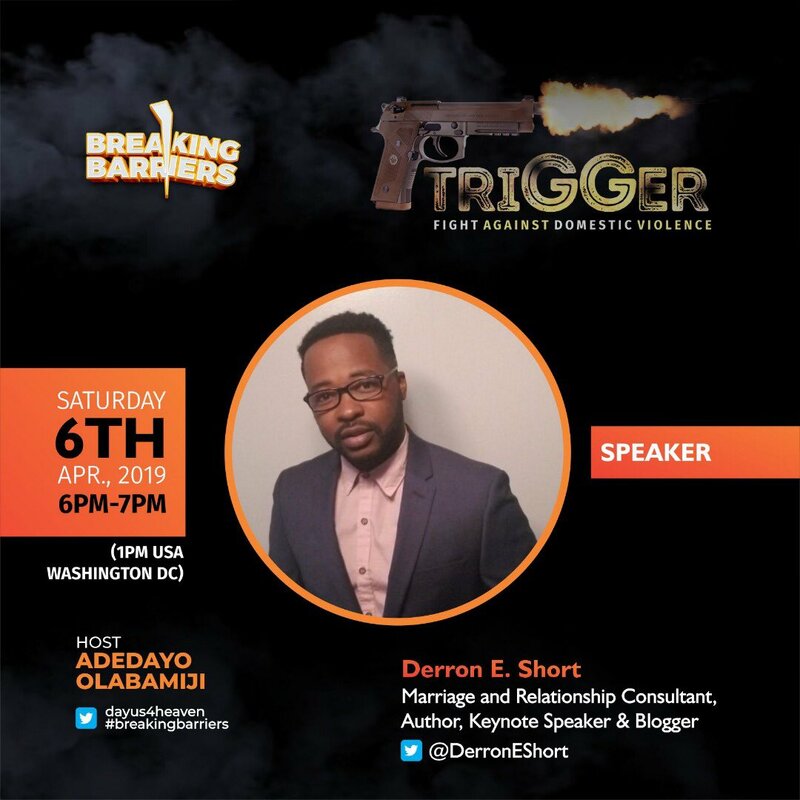 Thank you @BreakingBarrie3 and @dayus4heaven for the opportunity to feature this evening on #BreakingBarriers. 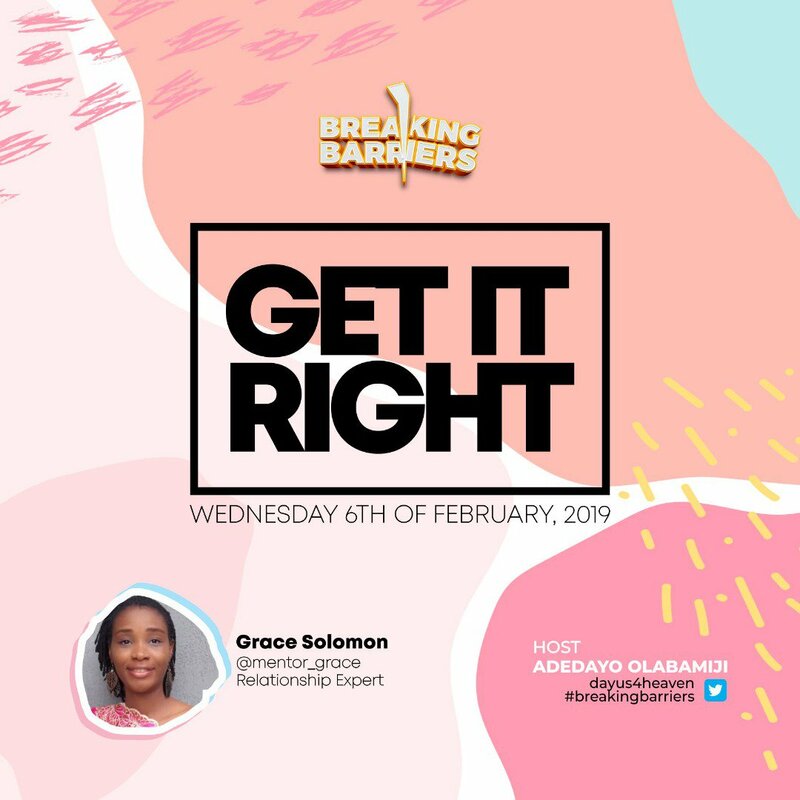 @BreakingBarrie3 Thank you very much for having me on the 1st episode of #BreakingBarriers for 2019. I consider this a big privilege. 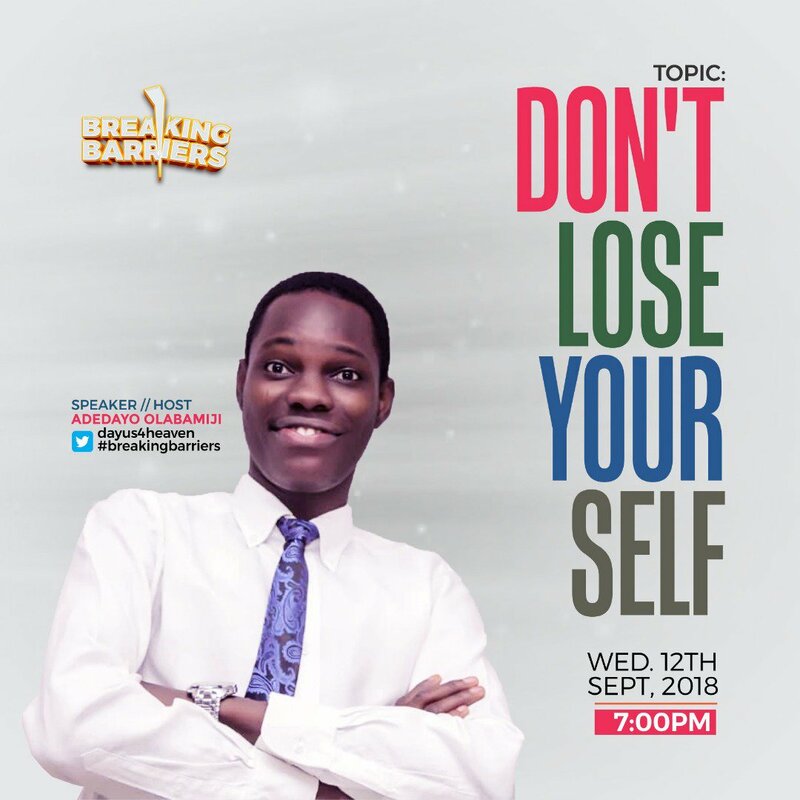 Thank you to the convener @dayus4heaven and the team @BreakingBarrie3. 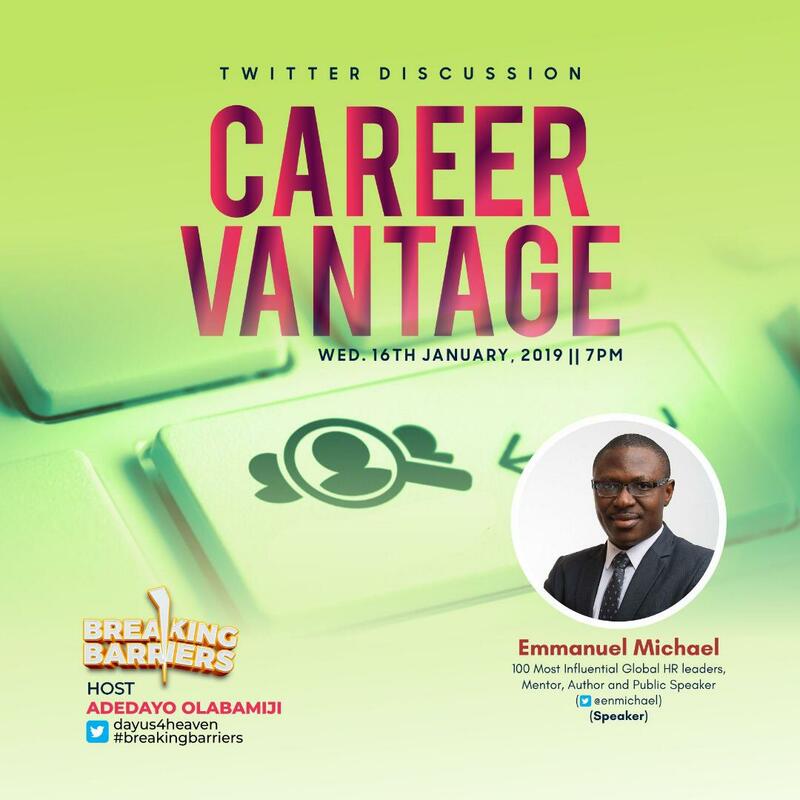 Our conversation will focus on identifying your strengths & building a career on it. 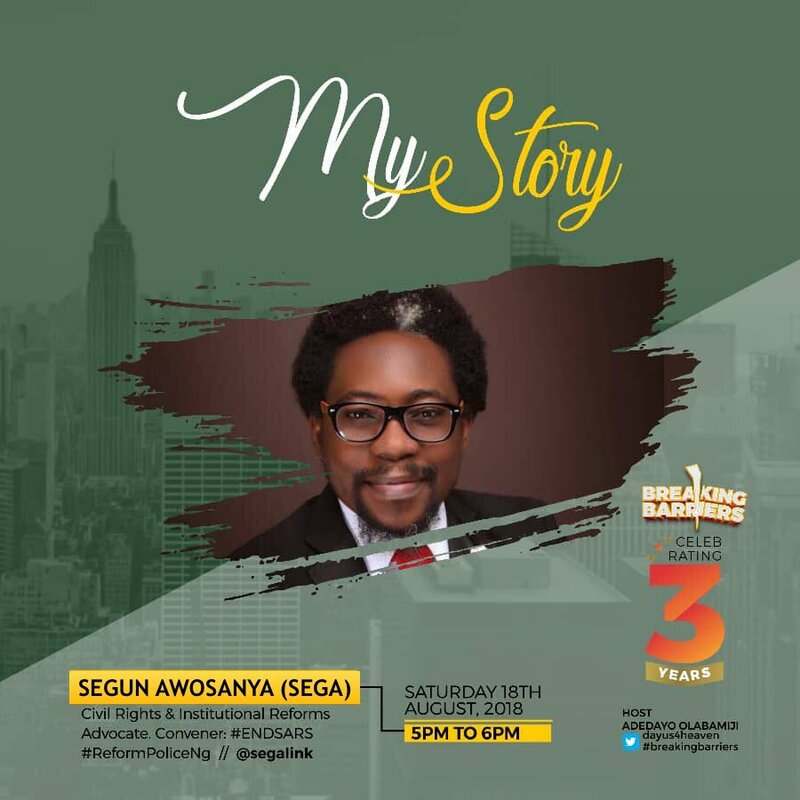 I will share insights from my experience over the last 6 years doing talent & career management professionally and proferring career advisory and support to young and experienced professionals to build their dream careers and living their best lives. 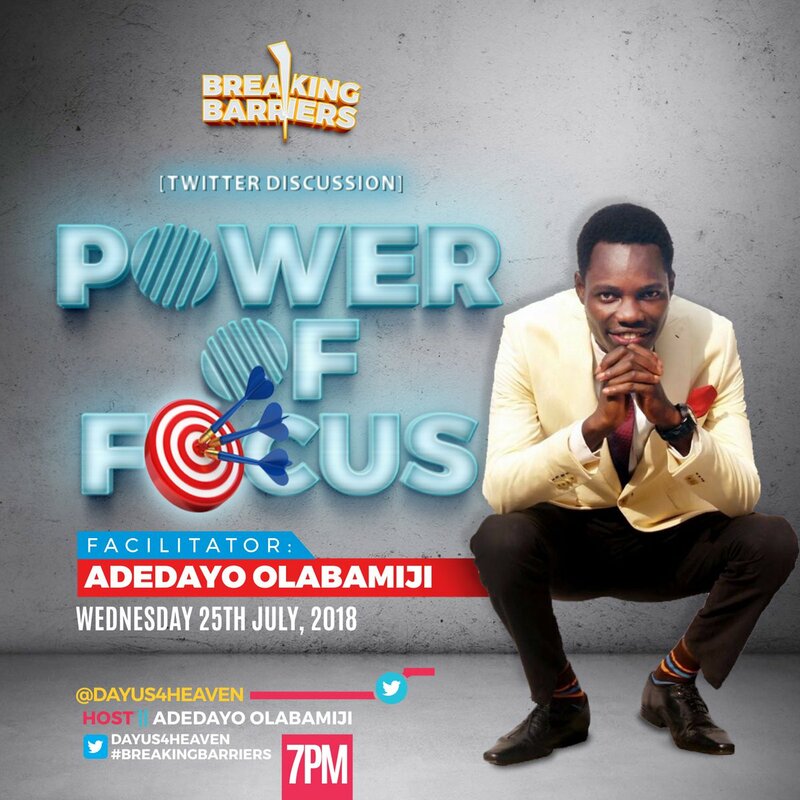 Tonight promises to be great on #BreakingBarriers as I will be sharing insights on THE POWER OF FOCUS. 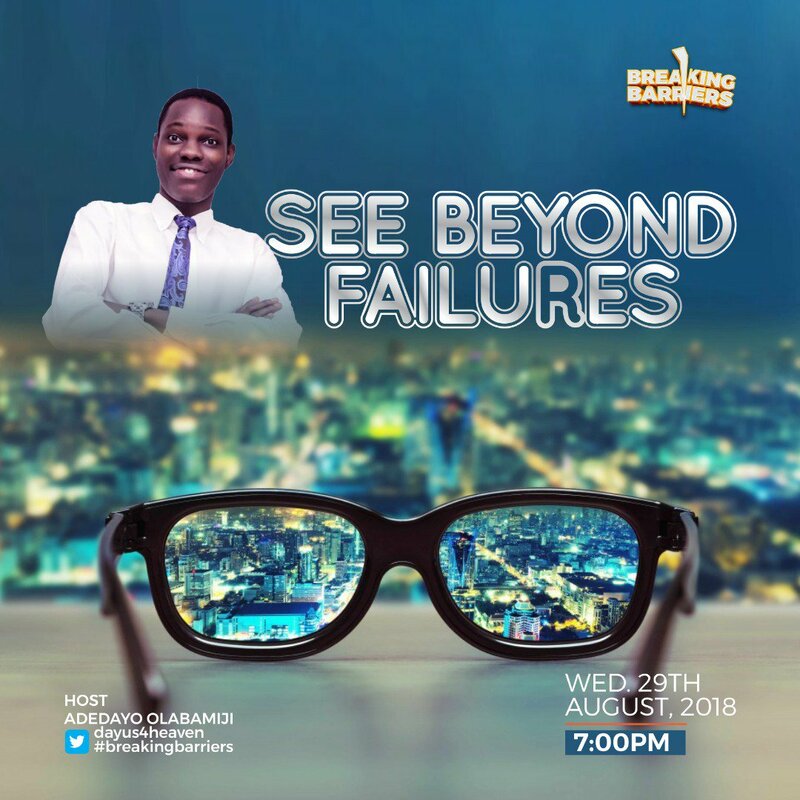 You can't afford to miss this session.